A Geotag is a piece of digital data attached to something like a status update or photo online. 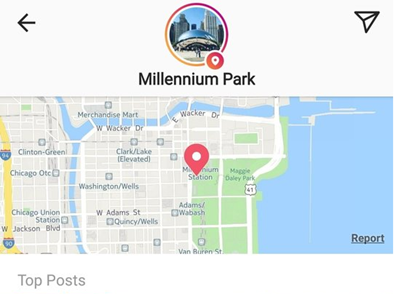 This metadata is connected to the GPS on a smartphone, which means that people can automatically share their location when they’re engaging with others on social media and internet forums. The data included in a geotag may include distances from other popular places, location names, coordinates and more. Now that people are increasingly connected through their smartphones, geotags offer a new way for people to stay close to their friends and followers. Geotags work by accessing the location services on a computer system, phone network or mobile device. This technology is powered by either GPS or satellite positioning and today most social media channels have some geolocation functionality. With geotagging, businesses, brands and influencers can track their location when posting on channels like Instagram. Augmenting a post with details about a place can make posts like those from brands or influencers feel more authentic. A geotag is also a useful way for businesses to share information about their location so that customers can find their brick-and-mortar stores. Everyday consumers use geotags to show their friends and families where they are and what they’re doing at any given time. A geotag on a social media post gives your friends and followers a better idea of where you are. These tags can also make it easier for followers to trust what influencers say. For instance, if a restaurant reviewer shares an Instagram picture of their latest meal at local café, their fans can see that they are where they claim to be. If it’s a positive review that you’re posting, your followers will also know exactly where to go to get the same meal. Sharing their business location, so it’s easier for consumers to find their store, restaurant, or office. This is an extremely valuable option for local businesses gaining traction online. Creating a photo map: With a photo map, you can demonstrate the extent of your brand reach and engage with consumers from all over your local neighborhood. Finding local influencers: If you need influencers to enhance your social media strategy, but you want to find someone local, start by searching for people in the same location with -geotags. Instagram contests: Using a geotag in an Instagram contest is an excellent way for local brands to connect with their followers and an extra level of intrigue to their posts. 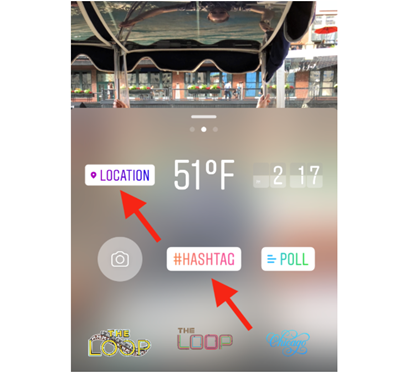 Hashtag locations: Companies and influencers that use geotag hashtags gain better visibility for their posts on channels like Instagram. You can even add a tag to an Instagram story. Instagram is the most popular place to use a geotag. To add a tag to your post, tap on the “Add Location” option in the “New Post” screen. Instagram will automatically use your smartphone GPS to find possible locations near you and you can select the area that you want to highlight in your post. If you can’t see the location you want on Instagram’s suggestions, just type in the name of the place that you want to mention.